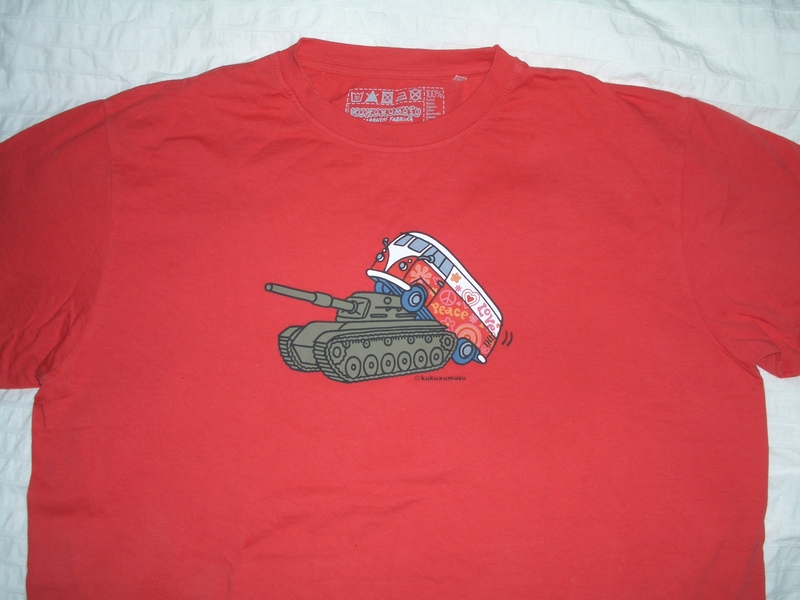 Here is a T-shirt I got as a souvenir from Barcelona some days ago. It’s from the Spanish label Pou Nou. 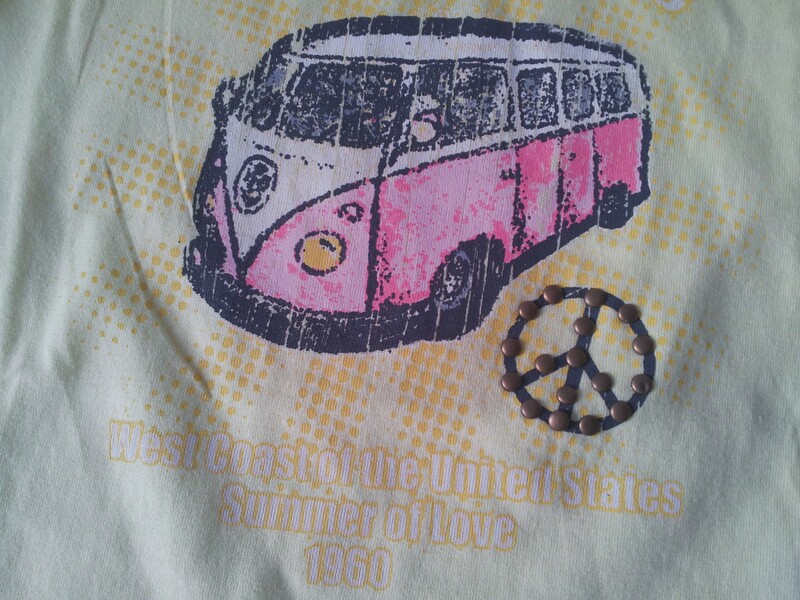 Mix between an early bay and a splittie. Thanks to DrJ for the cool present! Here is a present from Grandma for our little superstar – arrived last weekend with the mail and has already been worn proudly on the local playground. Thanks for this great piece! The brand does not seem to have its own web site. 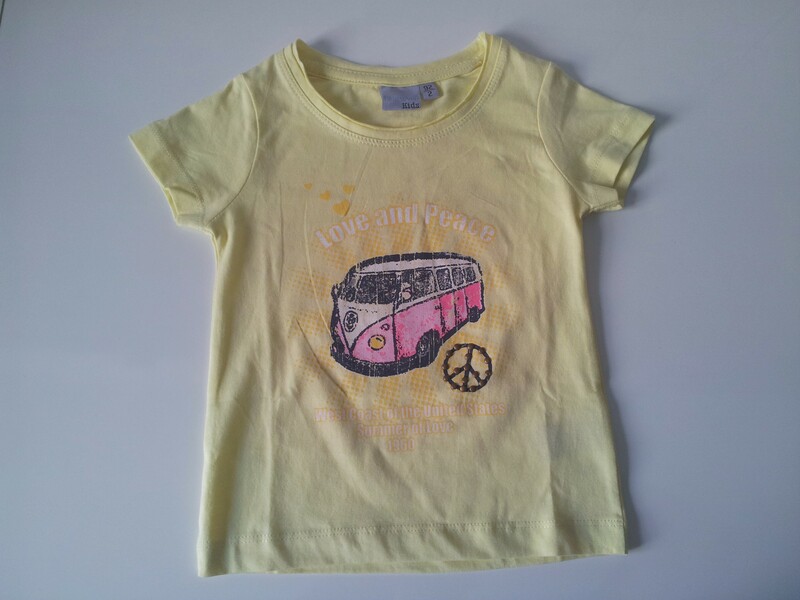 Google for “Blue Seven Kids” and “T-Shirt Nr.70359”. 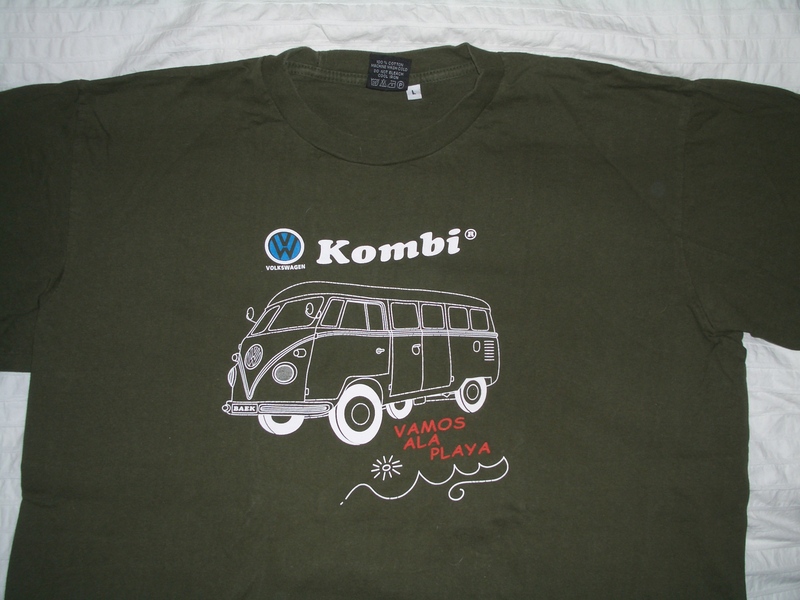 Here is a link to the complete kombi T-shirt thread. I got this unusual one from my wive in about 2004. Pretty cool. Thanks, DrJ! As a follow-up on yesterday’s post on the upcoming 5. 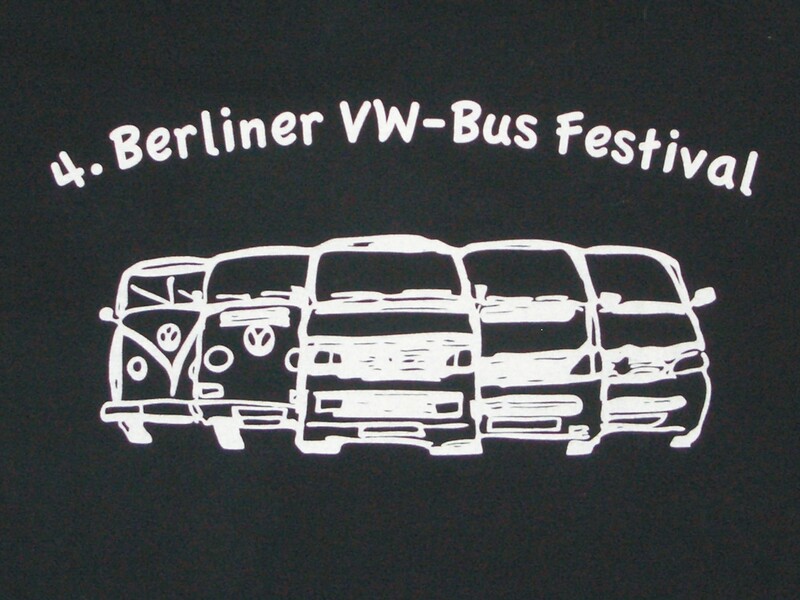 Berlin VW Bus Festival on July 27-29, 2012, here is last year’s festival T shirt, with the T3/T25 in the center of it all. Nice drawing! 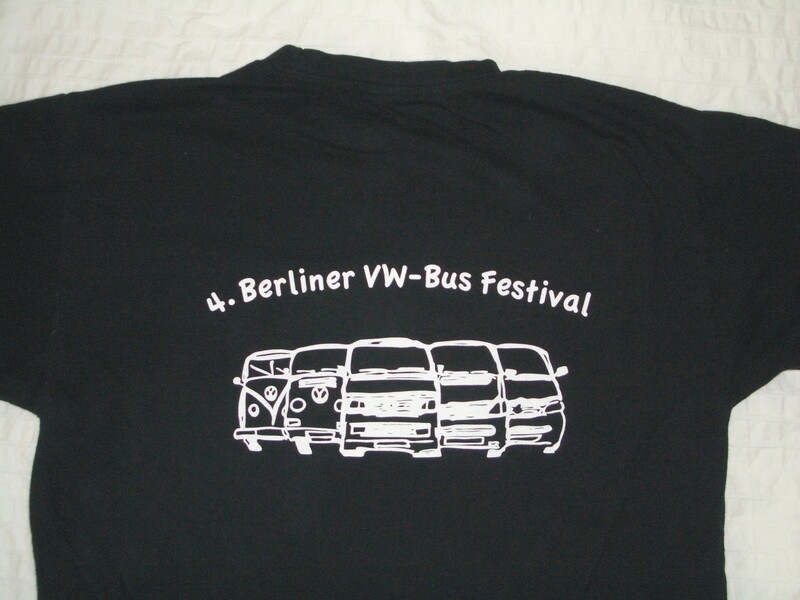 I got this nice shirt in 2009 as a birthday present from the colleagues at work. Front shows the front of a splittie, back shows the back. The label says “Stefan Brandt”, but I could not find a company web site, so no link here. 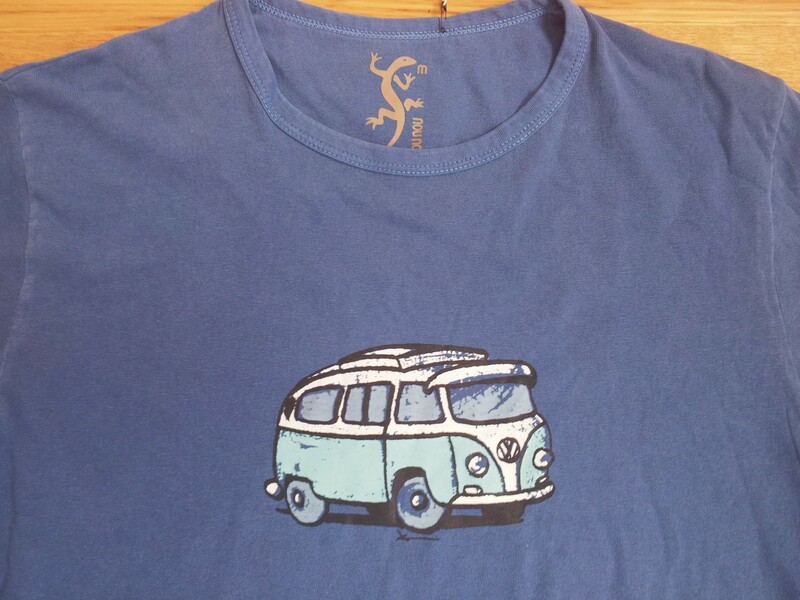 Here is a link to all the previous blog posts on VW Bus T-shirts. 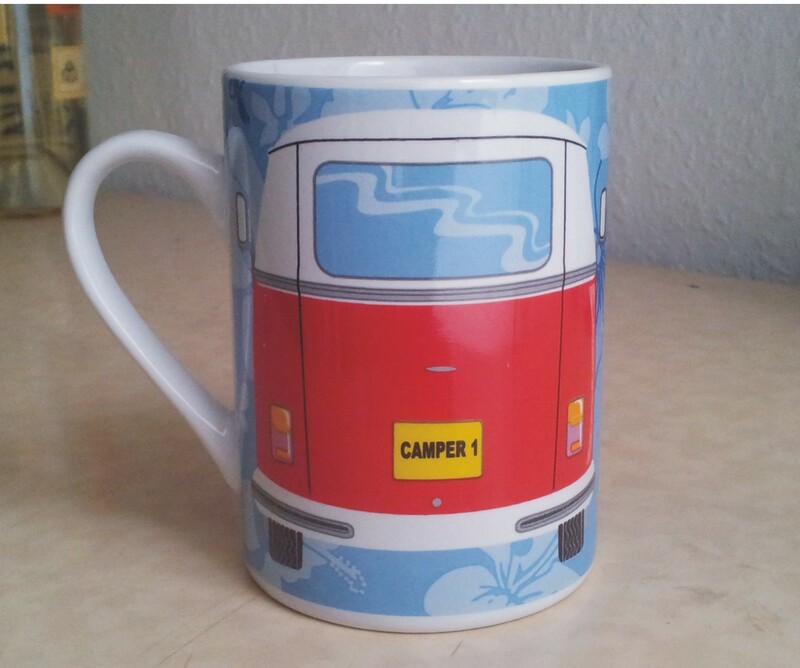 Along the same lines, here is my favourite tea mug. I got it actually twice, probably both times imported from England – one as a present from Jan and one from Caroline and Emmanuel for my birthday in 2009. Which is great, one is now at home and one at work. It is from Elgate. 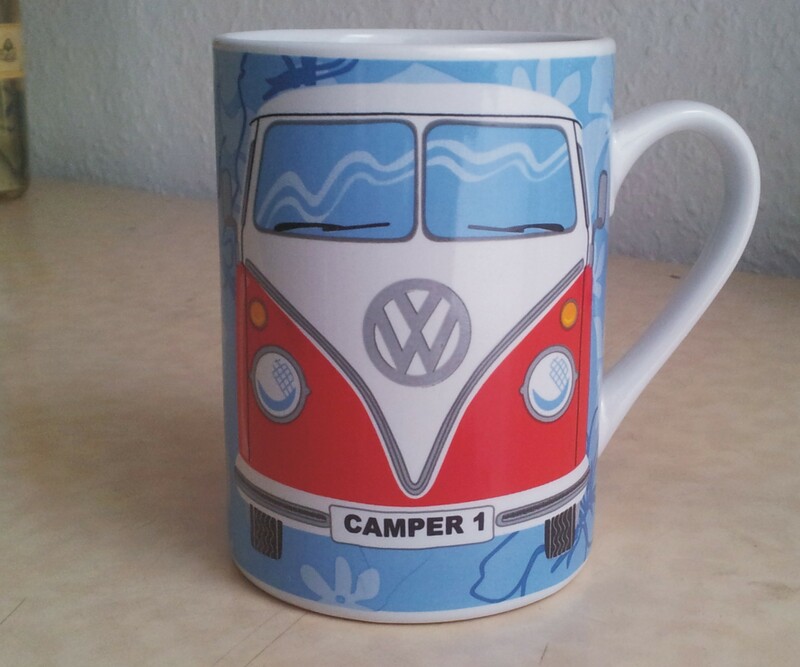 Could not find this particular mug on their web page, but at least they have one. 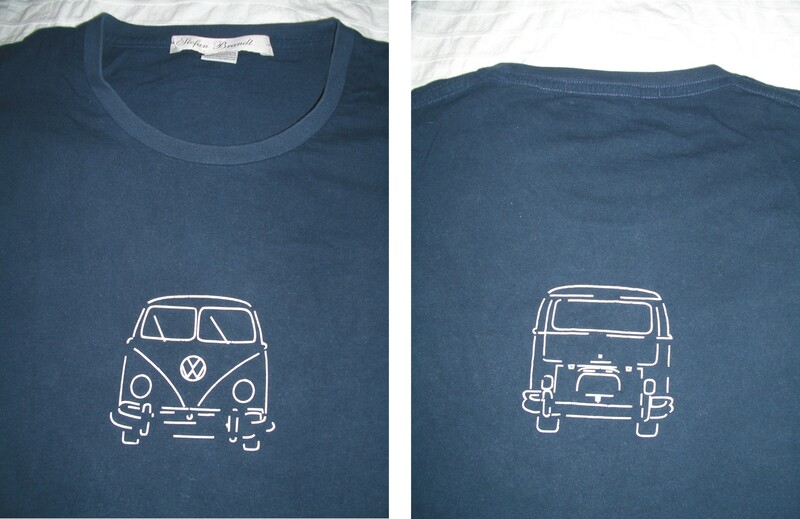 Here is another kombi T-shirt. Got this one as a christmas present from friends when we stayed with DrJ’s family in Australia in 2006. 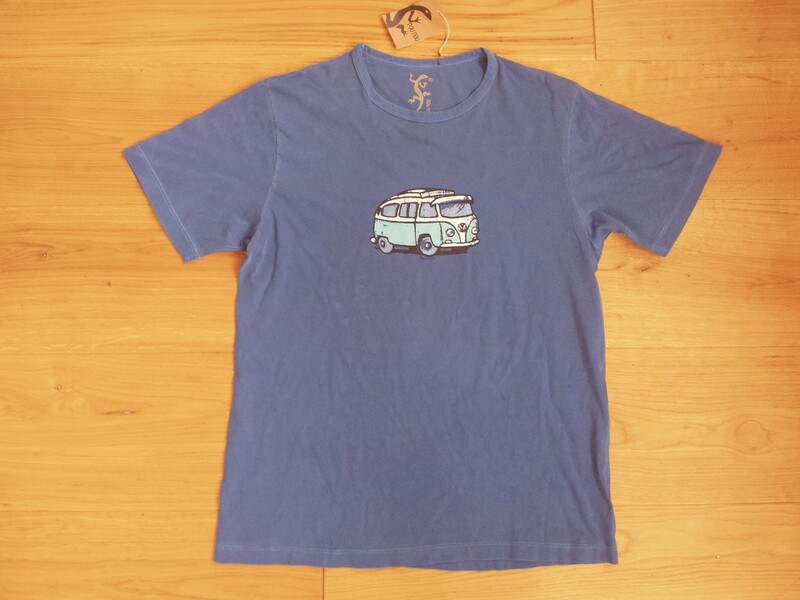 Company name on the label (and on the number plate on the front bumber) is BAEK, but I cannot find them on the net, so no link to a supplier. A split-window bus with bullet indicators. 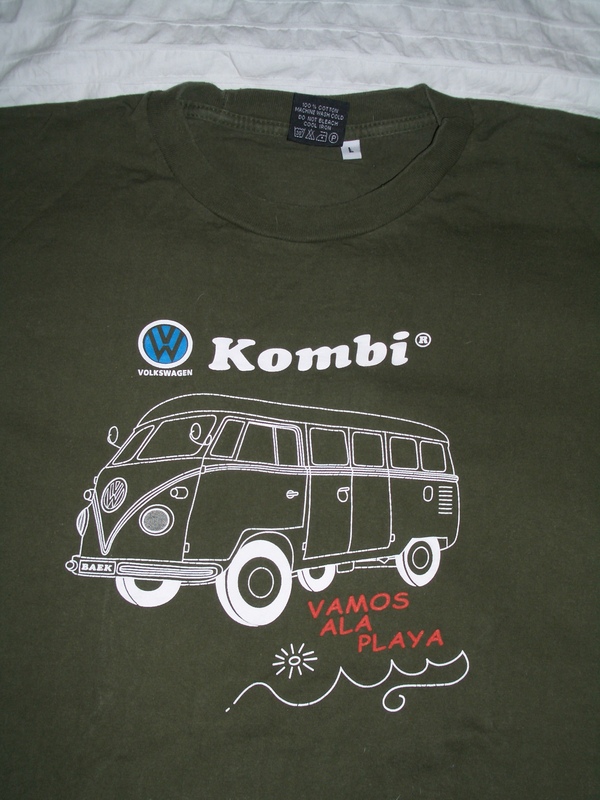 Interesting that the word Kombi is trademarked. Wonder who holds these rights? Thanks again to Danielle and Rene for the present! 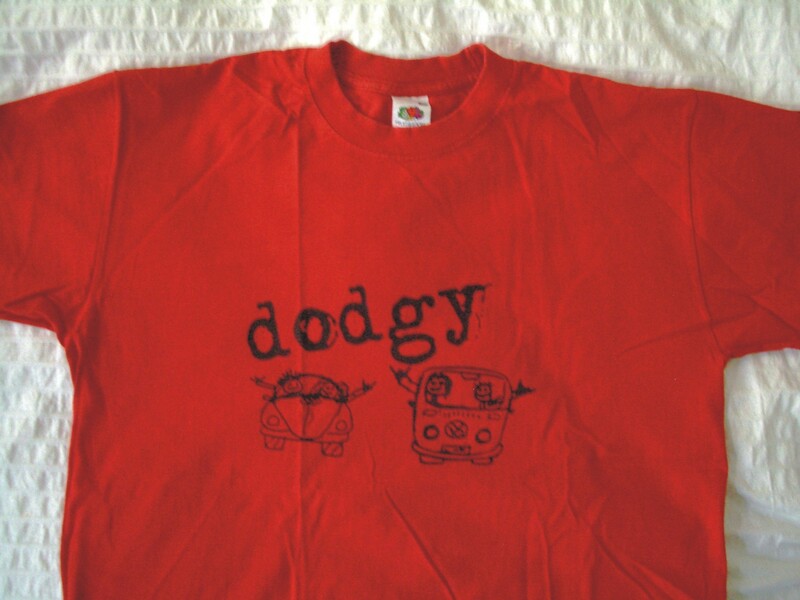 I got this cool T shirt as a birthday present from Matti in 2011. 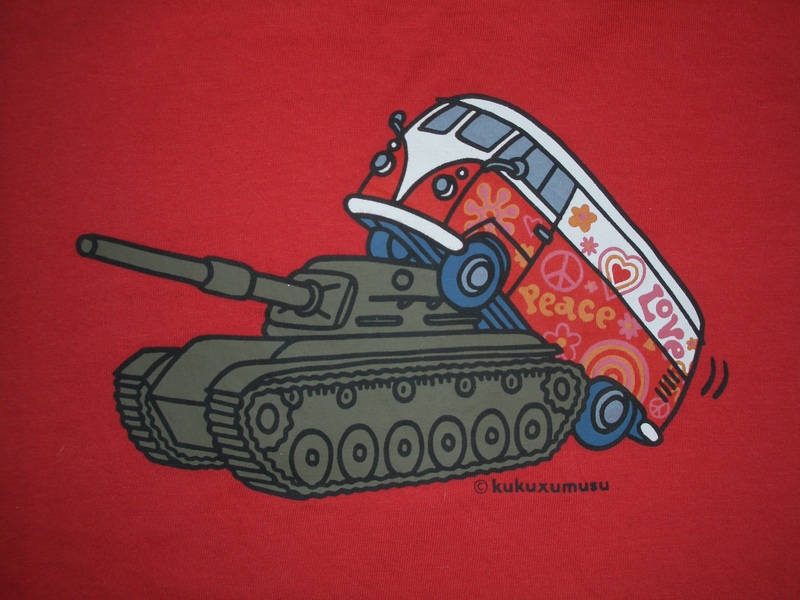 A kombi interpretation of “Make love, not war”, from the Spanish clothing and product design company Kukuxumusu. Thanks again, Matti! 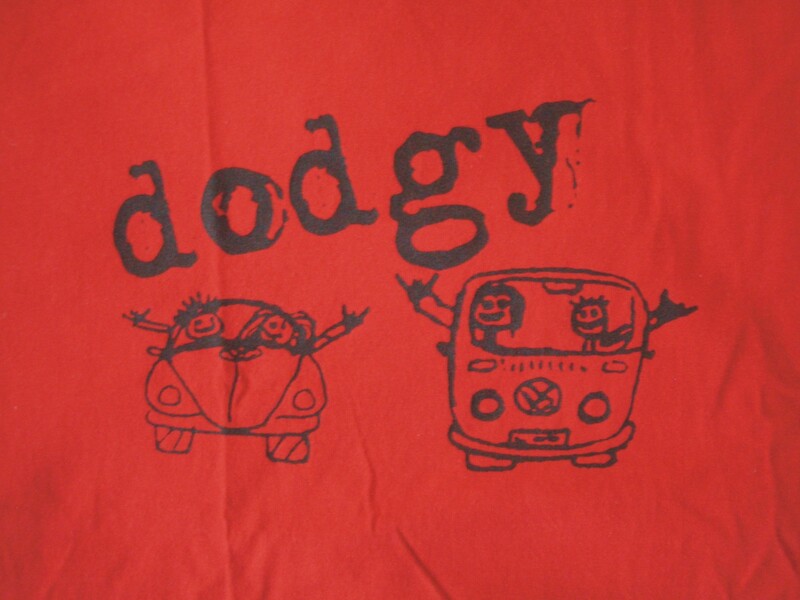 PS: Here is a shortcut to the other blog posts on VW Bus T shirts.